If you are a new mom or mommy-to-be, these items are THE must haves that should be on your list. They will keep you comfortable, prepared, and well – sane! We want to make your life with a newborn a little easier so tell us below what you want to win most, enter the giveaway, and it could be yours!! 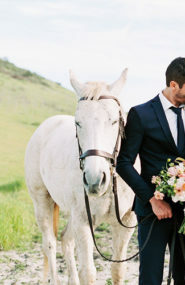 Enter to win just one, or ALL (worth $1700!!) , of the items – by tweeting and commenting about each separate item below! I never knew about Bravado nursing bras until I was preparing for baby #2 and let me tell you they are the absolute BEST bras I have ever worn. They are so comfortable you can sleep in them. If you are pregnant or a new mom you have to look into Bravado. We are giving away one of their Essential Nursing Tanks and two types of bras, the Body Silk Seamless and the Essential Embrace. Just after I had little Graham a friend of mine sent me “The Buru Bag”. I had no idea what it was, but boy was I in for a treat. It’s literally all the things a new mom needs those first few weeks with baby, curated by a mom for a mom. The coziest Rachel Pally sweater wrap/robe, black pants that hold you in, a nursing bra and more! It’s a great gift for any mom-to-be and we are so excited to be giving one away to one of our lovely readers. 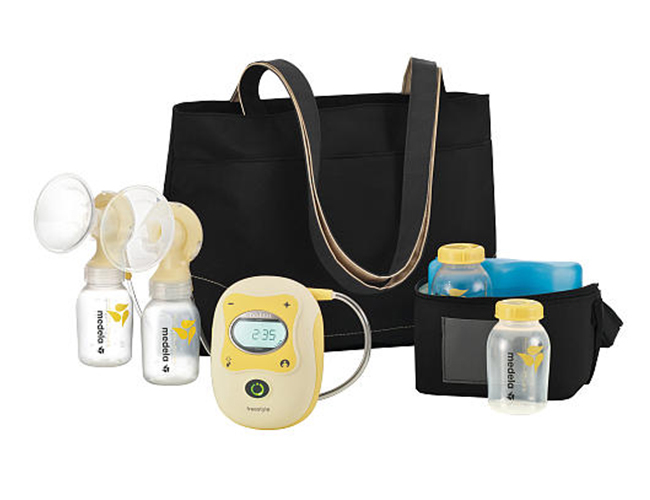 If you plan to nurse you need one of these and Medela is THE trusted brand when it comes to breast pumps. I use the Medlea Freestyle Breast pump and shared about this in my last post on preparing your list of must have’s. Medela just launched Medela At Work. The site is an amazing resource for breastfeeding moms and new mothers returning to the workplace. There are invaluable tips to help moms achieve their breastfeeding goals, something all of us moms could use.Everything you need to know from choosing the right pump, to talking to your employer about breastfeeding, to creating a pumping plan, and many more useful topics can be found at medelaatwork.com. I am lover of the Ergo!! Used it when my daughter was born with their traditional carrier style and I knew I wanted to use it for my son but then I found out they made a new model that did more than just give me a hands free carrying option. Ergo 360 is their newest product that provides you with hands free baby wearing with your child facing forward! There is a point where your babe gets old enough where they want to see whats going on in the world around them. Enter in, a great carrier that is safe on your child’s spine and can help them see the world without putting strain on you back or theirs. It’s my favorite! When you are looking for the perfect crib mattress where do you begin?? I had no idea where to start. What I like about this mattress for my babies is that I can wash it and it doesn’t allow for bacteria to grow. Let’s be honest that there will be leaky diapers, sweat, and spit up more times then you’ll want to remember, but to have a mattress you can clean afterwards is huge! Just washing the cover isn’t enough- believe me! My little guy just transitioned to his crib last week and he is sleeping great on his Newton. I’m a fan! Tommy Teepee is the brand I use for my babies’ bottles. I tried a few brands with my first baby and landed on this brand. 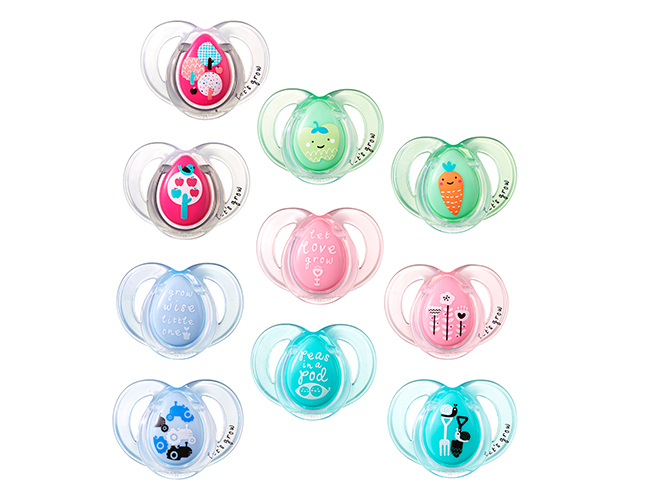 They have a new set right now that I got for baby Boy that has 9oz blue bottles and comes with some pacifiers and a sippy cup to transition from bottle to drinking out of a cup. Currently using all of these products with my little guy and loving them. You will love the gift pack they are giving away too! Baby Aspen has such cute stuff for your new little babes. We are giving away a big prize pack!! They have such cute robes, bibs, socks, blankets, and onesies that I had a hard time choosing what I loved best. The prize pack will include a owl bodysuit or hedgehog bodysuit, Haddie-Hoo or Mr. Fox in Socks Plush, My Forest Friends Baby Sock Set, fox lovie and owl lovie, a My Little Night Owl Robe, a Bib, and a My Little Night Owl Blanket. So your little one is set! It’s time to shop!! We are loving these Love Me Baby onsies, pants, hats and tops for your littles! I love giving mommas to be a cute bundle of hand made necessities! Anchor & Adorn is the perfect place to find just that. 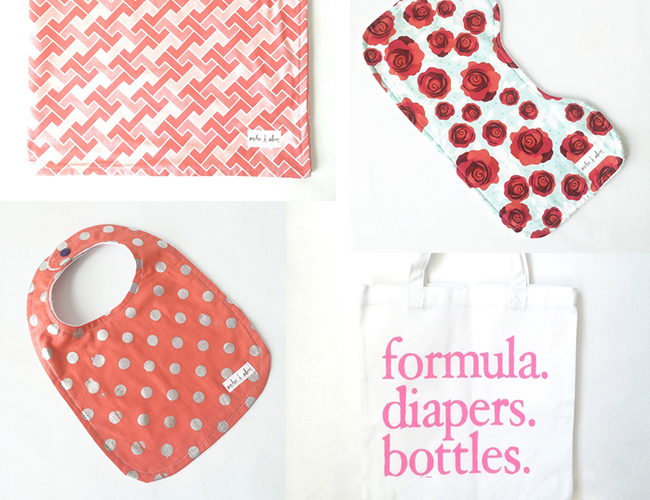 Their organic home made teething toys, bibs, burp cloths, totes, and blankets are adorable and so perfect for gifting and/or keeping for your own little babes. We’re giving away one of each to a lucky IBT reader! What a neat giveaway! The Bravado nursing wardrobe looks so comfortable! Awesome giveaway! I love everything! Right now I would have to say the Buru bag is what I would love most – looks so cozy! Exactly what I need right now! The ergo 360 would be great and all the prizes are awesome! Love all these items!! So fun! I’d be excited for any post partum wardrobe options! I entered the mommy to be giveaway! Crossing my fingers, definitely excited to have my very first baby and could use everything in this giveaway! Also love this blog, been following for a while! I would be most excited to win any of it but the Bravado products since my little guy is coming in 3 weeks! So many wonderful items! Really loving the Buru bag! The Medella breast pump! With twins on the way I will need all the help I can get! Love everything about this blog and the mommy give away! I am pregnant with baby #1 and on the look out for the “must have’s.” Thanks for the contest!!! Everything looks amazing! My hubby and I just had twins 3 weeks ago and we would love the ergo carrier. We also have a 2 year old so extra hands are super needed!! The Newton crib mattress, because everything that is used for babies should be machine washable. I would love to win the Buru Bag! Especially as I am pregnant with my first, and I have heard how difficult postpartum can be… the Buru Bag sounds like it would be a huge blessing during that recovery period! Loving all items, they would be useful in everyday. It would be more than an honor to be able to win anything , I’d be forever greatful! I would love to win the Ergo 360! I hear such great things about it. My first baby is due August 3rd! the Bravado nursing wardrobe would be amazing! I would love an Ergo! The babywearers in my town love them! Any of this would be so helpful, with my first baby due in just a couple months! The Buru Bag would be particularly great! I absolutely love everything on this list and would love to be able to have all these items to share and recommend to all my mommy friends! The buru bag is a dream! I already have a bravado and am obsessed too! I love the patterns on the anchor & adorn items! I would love to sport and promote every single item on this list!!! My first baby is due in just a few months and I am the first of my friends to have a baby so I would love to chance to try out products and be able to advise them on the best ones out there! Love love love this giveaway and this blog! Going back to work 6 weeks after my little one is here; the Medela breast pump and the Tommy Tippie set would be the most used items however the Ergo 360 looks like a great carrier! Love them all! So many good items!! I’m expecting my first and I want to try all of these products! I really am interested in ergo-360. It would be such a great blessing to win anything on this list (especially the ergo and bravado). Thanks for the opportunity to enter! Any new momma would love any of these items. The Love Me set is adorable! 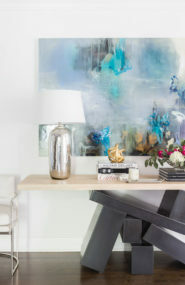 I’d be most excited to win the mattress, but would love all of this- great round-up of items! Oh my goodness what an awesome giveaway! I’d love any or all of these – most specifically the ergo 360 or the nursing wardrobe. Yay! I tweeted from @jbfshn. All of these are so awesome, but I would be most excited to win the nursing tank and bras from Bravado. I have been wearing one during my pregnancy and am in love! It would be awesome to have more from bravado for when my little nugget arrives. oh my!! I would be blown away to even have half of this stuff!! I am a FTM expecting in 360 and would love for you to pick meee!! This is awesome! What a gift it would be to win! 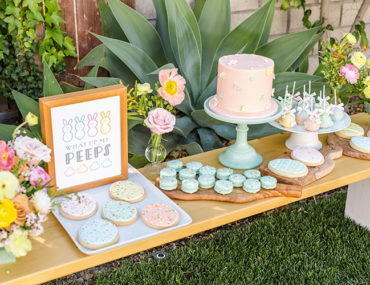 My first baby girl is due in a little under 2 months and all of these goodies would be the perfect way to start life as her mama! Such an awesome giveaway!!! This is great giveaway. I love everything Tommie Tippie! I would love to win ALL of this!! I’m a first time mommy and need all the new stuff we can get! This is such an amazing giveaway!! I would be so blessed to have any of this but the pump would be the greatest. Somehow my insurance is grandfathered in so doesn’t have to provide me with one. It would be amazing to win a medela since its at the top of my list! I would love the breast pump! As a working mommy to be it would be perfect! I would love the ergo! I can’t wait to carry baby all around! The Buru Bag is such a fantastic idea! Awesome gift!! What a fabulous giveaway! As a first time mama-to-be I would absolutely love to win the buru bag! I’m most excited to won all those cute things from baby aspen! Our nursery is woodland themed so this is just perfect! I would wear Bravado’s cozy tanks and tops all day! so many wonderful things! the crib mattress sounds like the best one out there. would love to win that. I’m most excited to win the 360 Ergo! Can’t wait to carry my little one around! I’d love to win them all and start life as a new momma with all of these great items! I’m most excited for all of it! Fingers crossed! I would love to win the Bravado Bra! being a woman who is already large chested finding a good and comfortable bra is hard to do! 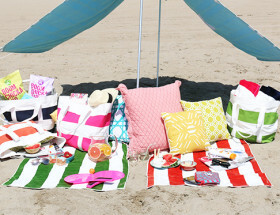 I would love to win the Buru Bag or the LoveMeBaby apparel! 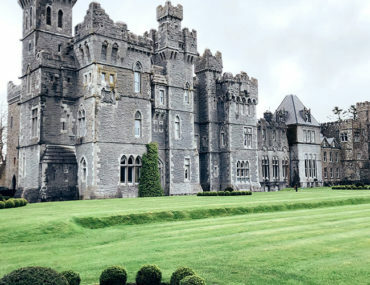 Either would be perfect as we start our new adventure as mommy and baby! I would be most excited to win the breast pumps. I am pregnant and really need all this stuff. Thanks so much for the chance, and have a great week! I would love to win the pump!!! Everything is so amazing! I don’t think I could pick just one. I love the Buru bag. As a mommy to be, its easy to forget about treating yourself to some goodies. All of these goodies are amazing! I’m expecting with my first little one and I would absolutely love to win the breast pump! Crossing my fingers! The Buru Bag would be amazing!!! What a great giveaway!! The Baby Aspen pack is so so adorable! The Buru Bag looks absolutely amazing! Everything would be great to win especially the medela pump and ergo carrier! These are all fabulous prizes that anyone would be lucky to receive, but I’d most like to win the ergo carrier! Id definitely be the most thrilled to win the Ergo 360, but all of the items are amazing! Win or lose, Ive definitely pinned this list for moving forward. Thanks for the chance! It’s a tie between the nursing clothes and the ergo carrier, both are total necessities!! I would love to win the Nursing Wardrobe by Bravado! Would love to win the Ergo 360 and carry my little one around in style! 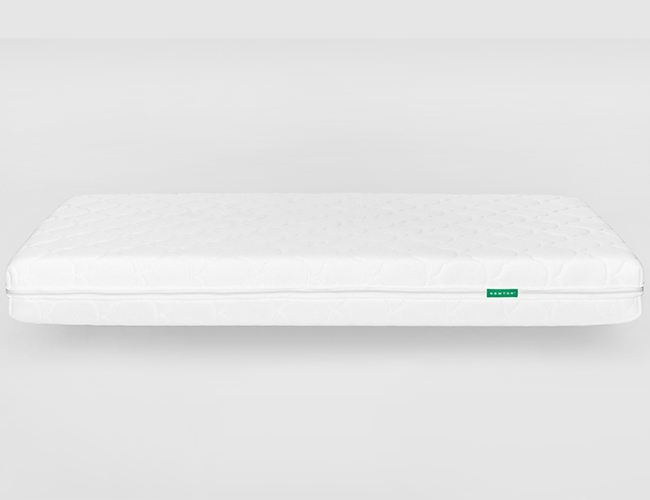 the Newton Crib mattress would be awesome to win! Would love to win the Ergo-360!! I’ve heard such amazing things!! I would love to win the Tommy Tippee products! They look awesome! I would love to win the Baby Aspen bundle! Their products are SO CUTE! My baby would be styling!!! The Anchor & Adorn bundle would be fabulous to win! EVERYTHING they have is ADORABLE! I would live to win the ergo360. Have heard great things about it!! Everything would be exciting to win! I especially love the Baby Aspen stuff. I would be so excited to win any of these items! For baby number 2 due August 18, im most in need of a baby carrier so id have to say the ergo! But truly all the items look amazing! I would love to win all of them, but the Madela Breast pump is one of the more expensive needs I’d love to win! Wow, what an amazing giveaway! My first baby is due in September, and I would be so grateful to receive any of these wonderful items! Awesome giveaway! I’m due early September with our first baby (girl)! Any of these goodies would be awesome, especially the Ergo baby carrier and the nursing wardrobe. All of it is amazing, but I’d be most excited about the crib mattress and breast pump! Ahhh awesome giveaway! Due with my first in July. Would love to win any of it, esp the Buru bag! The Ergo 360 looks awesome! I’m most excited to win the nursing bras!!!! The Ergo would be wonderful! Im excited about the crib mattress and baby aspen. Due in August and would love everything! Due in Dec & would LOVE all of this stuff! I missed out on the Ergo 360 with my last baby boy, but that looks so awesome! The Ergo would be great for my sister. Would love the Baby Aspen package, their outfits and items are so adorable! First off awesome picks for mommy to be must haves! I really want the Medela Breast Pump, should be at the top of any mommies list. Great must have! I would really like to try the nursing tank. I would love to get the Ergo!! All of it! The crib mattress, really! Holy cow!! I am a first time mom so could benefit from everything here!! 🙂 Especially the breast pump &a Ergo. Fingers crossed! I would like the Newton Crib Matress the most. The newton Crib Mattress We really need one. said the mom with the kiddo on the broken spring mattress. Oh so many good things here! I’m excited to check out the brands I don’t know. I love the Newton Mattress – as soon as I heard about it, I knew that’s the one we want for our little Roo! I’m a first time mom due in July! I’ve heard so many great things about the Medela Breast Pump – and going back to work it’s going to be a necessity! The Anchor & Adorn items were any cuter . . . . . The Newton Crib mattress and the Ergo baby carrier would be great! So hard to pick a favorite, love everything. The Medela Pump, Ergo, and the newton crib mattress are my favorites. Fingers crossed!! The Bravado tank & bras would be amazing! I have heard of Medela from great women so their breast pump MUST be a great product! 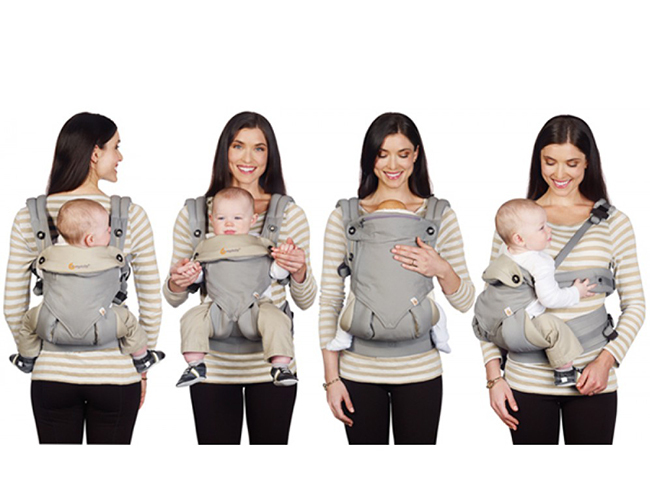 The Ergo-360 looks like the solution to all your baby carrying problems! Awesome!!! I am IN LOVE with the Baby Aspen prize pack! I couldn’t choose my favorite but I keep going back to it! SO ADORABLE!!!!!!!!! It would be such a blessing to win ALL these prizes!!!!!!! Id be most excited for the breast pump but all would be absolutely amazing. Great products and oh so cute for my little one! I’m due July 4 🙂 I heard Bravado is a great brand for nursing my friends swear by them too! Ergo 360 or the buru bag! Thank you so much for this giveaway! I’d be most excited for the Medela breast pump! I would love to win the buru bag or the medela pump! I had a hard time finding clothes I loved right after having my first and would love the hidden clip nursing tank and nice leggings! As for the pump, I travel a ton for work, so being able to have a more portable pump would be so helpful! Thanks for the great giveaway! I would love the BURU bag!!! Adore Morgan! I would love the buru baby bag!!! What a great resource! I’ve heard wonderful things about all these products and would be lucky to try any of them! Thinking the Buru bag will be a lifesaver as a new-mom to be! Nursing wardrobe; it really makes a difference! I am excited to win the Anchor and Adorn gift set! So cute! I’d love to win the Buru bag! I’m excited about the breast pump and Newton crib mattress! Oh my goodness…it all looks fantastic!! I think the items that would be used on an everyday basis would be the most ideal to win!! It’s a toss up between the Ergo-360 and The Buru Bag!! The Bravado nursing wardrobe. My old bras are starting to get very uncomfortable! As a first time mom-to-be, I would love the Buru Bag, the Bravado nursing wardrobe, and the Medela breast pump! Would love the Bravado nursing gear! I would LOVE to win the Newton crib mattress or the Medela pump! I have a little one coming in October and this would be such an amazing start for him/her! Fingers crossed and belly rubbing for luck! The Ergo 360!!!! I want one of those SOO bad!!!! I would love to win the Ergo 360!!! I love it all and it would be great for our 2nd baby to get NEW items just for her! Not 100% hand-me-downs from big sis!